Gallery 80808 opened in August 1990 as part of the Vista Studios project, a joint venture of the Columbia Development Corporation and the South Carolina Arts Commission. Since then the facility has matured along with the Vista into a unique venue for Columbia’s visual arts. Situated in the heart of the Vista at 808 Lady Street, Gallery 80808 has become a vital part of the contemporary art scene in the Columbia metropolitan area. 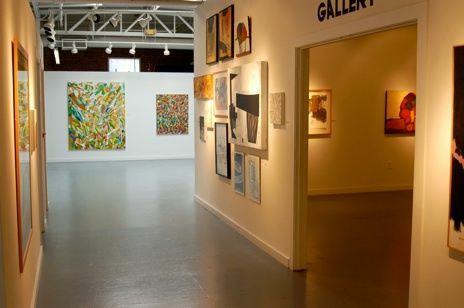 In addition to exhibitions by the resident artists, Gallery 80808 provides much needed gallery space for community artists and groups. The gallery presents up to 25 different exhibitions a year with new shows opening on a regular basis. The calendar of upcoming exhibitions can be found on our website. The space is available for lease as a high quality location for local, regional, or national art shows. For more information and terms for leasing the space follow the link for Gallery Rental or contact Ms. Louise Shirley of Molten/Lamar Architects, owners of the building (803-771-7008).